Douglas College will play host to some of the country’s best college volleyball players Mar. 9-12 for the 2016 Canadian Collegiate Athletic Association (CCAA) Men’s Volleyball National Championship. The hosting duties, secured in Ottawa at the CCAA’s Winter Board Meeting in January 2014, are a huge feat for the College’s Athletics Department, headed by Brian McLennon. McLennon noted the event will provide opportunities to involve the entire college community. "What's so special about the event is that it will serve as a platform to showcase the excellence of Douglas College: students, staff and faculty," McLennon said. "We are including all our disciplines, including, but not limited to, Douglas Students' Union, the Music Department, Hospitality Management, Sport Science and the marketing students." The event will feature Canadian Paralympian Rick Hansen as the keynote speaker for the National Championship Banquet and, under the guidance of the College’s Aboriginal Co-ordinator, Dave Seaweed, a ceremonial welcoming dance will be performed by members of the New Westminster QayQayt First Nation. 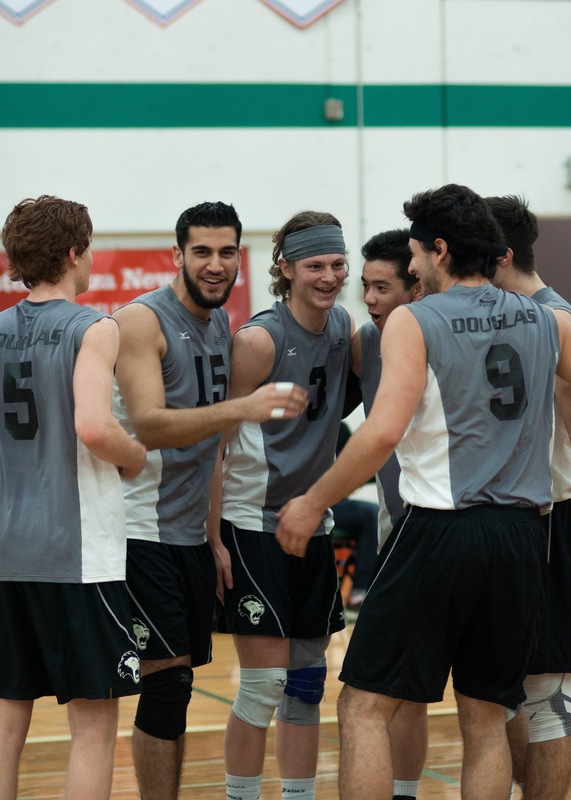 Douglas has captured 41 national titles and 52 provincial crowns and has hosted CCAA National Championships in 2003 and 2012 (Men’s Soccer) and 2007 (Badminton).